Downloadable Album Tees combine music and merch into one to create the ultimate fan experience! We are passionate about helping bands connect to their fans in an easy and natural way. Start distributing your music the new way, through your new band merch. Your fans are already buying your merch with phones in hand and passing by your CD's. Cut out the middleman! We print a unique QR code called a Personal Redemption Code on each band tee. No two codes are the same! Each tee is aligned with a unique user for you to connect with. 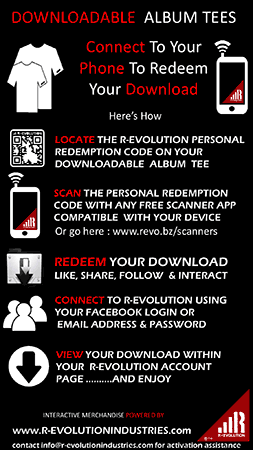 Using any smart phone or tablet and any QR Scanner app, fans can easily scan your merchandise to redeem downloads and offers, and connect with your band. 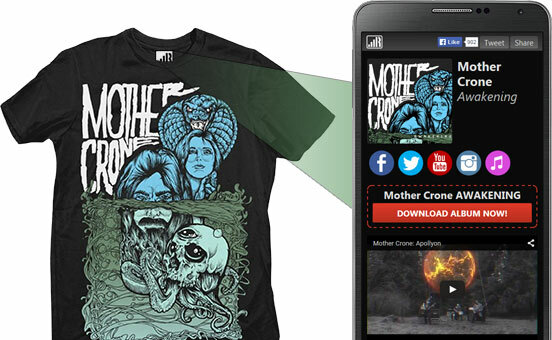 Your branded mobile page engages fans with controlled one-time downloads like music, prizes, enter-to-win, or anything else your band has to offer. Demo it on your computer! 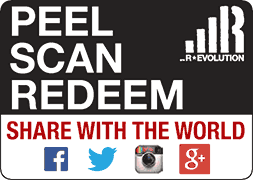 Your Downloadable Album Tee can come with a clear call to action hang-tag or sticker (sold separately). We have simple and small call-to-action stickers as well as complete guided instructional garment stickers. Downloadable Album Tees also measure fan engagement. Find out which social networks drive the highest levels of traffic. 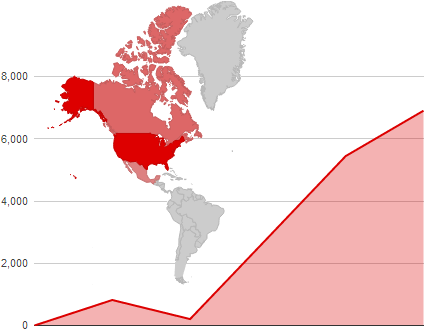 Track your downloads and access in-depth analytics through an easy-to-use dashboard. Gain mobile consumer insights and better understand how to engage your fans. Fill out this form for a free quote on your new band merchandise!